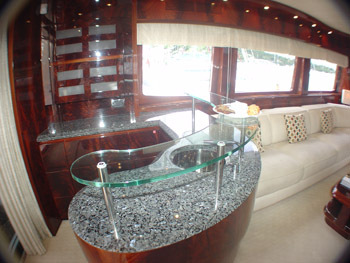 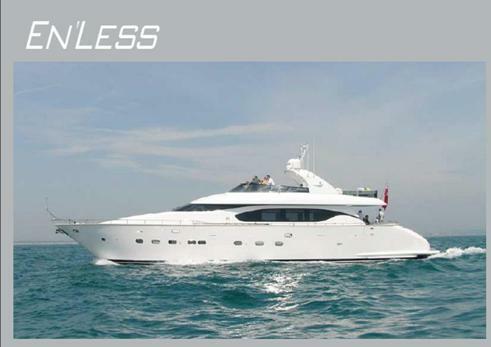 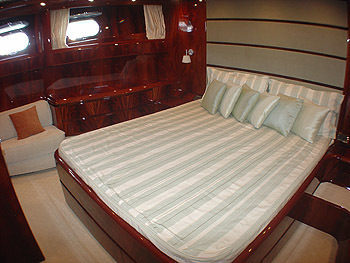 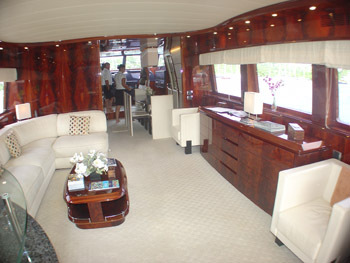 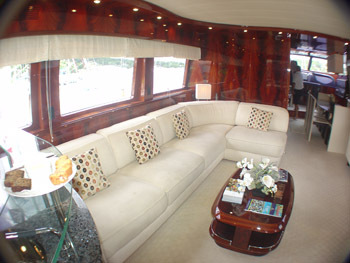 Luxury Motor Yacht En’less is a Maiora 24S privately crewed r yacht available for charters in the Caribbean. 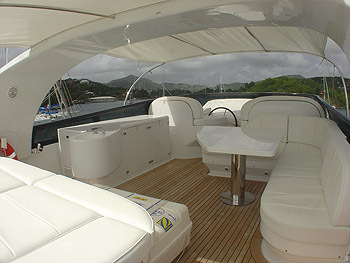 She is based in St Martin in the Leeward Islands year around. 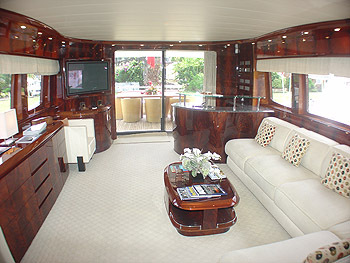 Accommodating up to eight guests in four private staterooms, En’less is a stunning yacht and exceptional value for money. 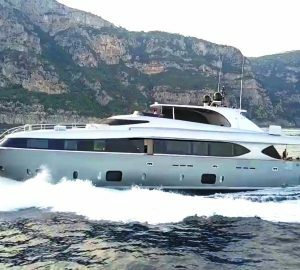 En’less is fully equipped for entertaining: her spacious, air-conditioned interior includes a saloon with a full audio visual entertainment system. 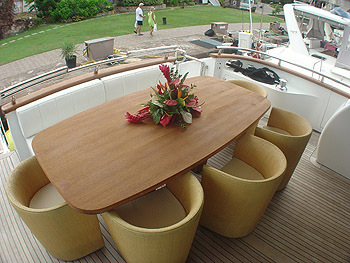 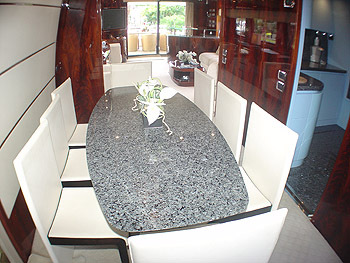 The separate dining area has comfortable seating for eight people. 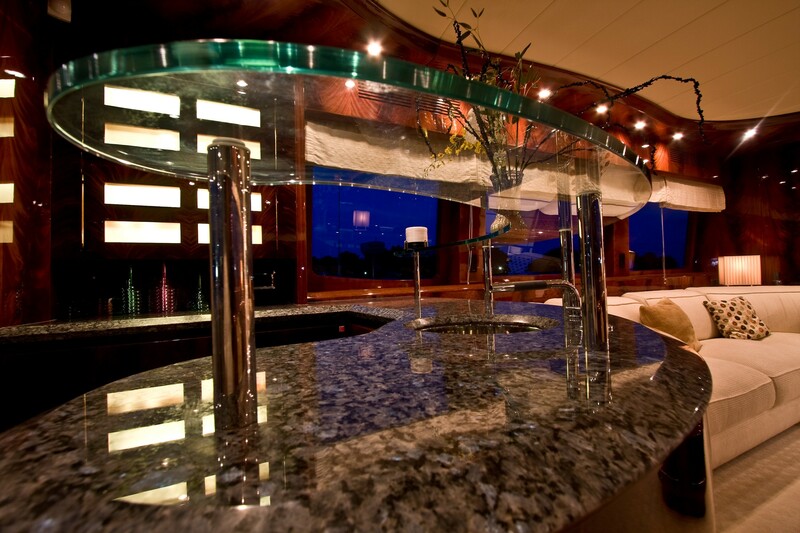 En’less has a fully equipped galley and a private chef to whip up guests favorite treats and gourmet meals throughout the charter. 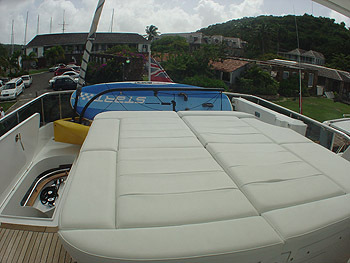 En’less comes with a wide range of water sports equipment including a Zodiac 350 jet tender, sailing dinghy, windsurfer, kayaks, snorkeling equipment, and fishing equipment. 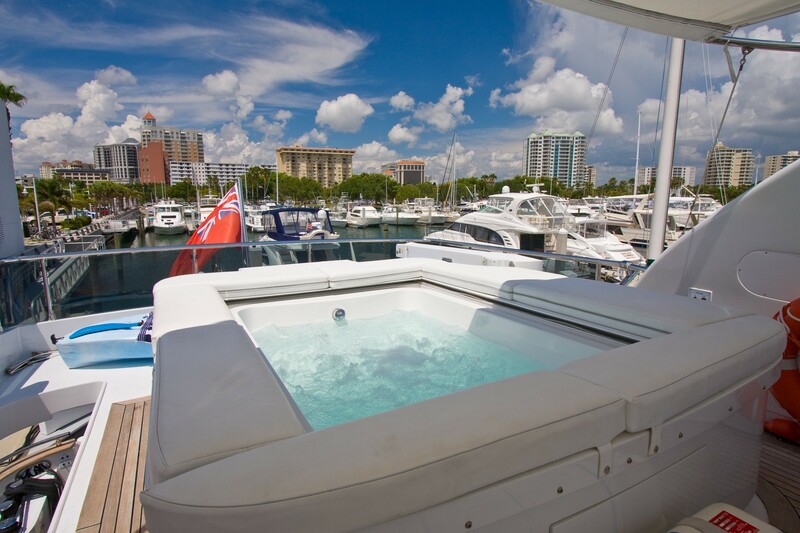 The Spa Pool on the fly bridge is an amazing addition to her amenities, allowing guests to soak in the hot bubbles whilst gazing at the sun setting on the sea, with a refreshing cocktail in hand. 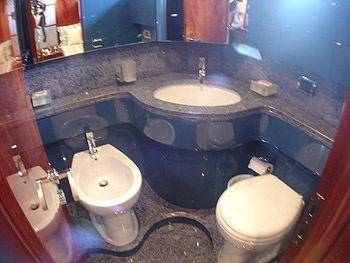 The accommodation on En’less is made up of four cabins all with private en suite bathrooms facilities and full audio visual entertainment packages. 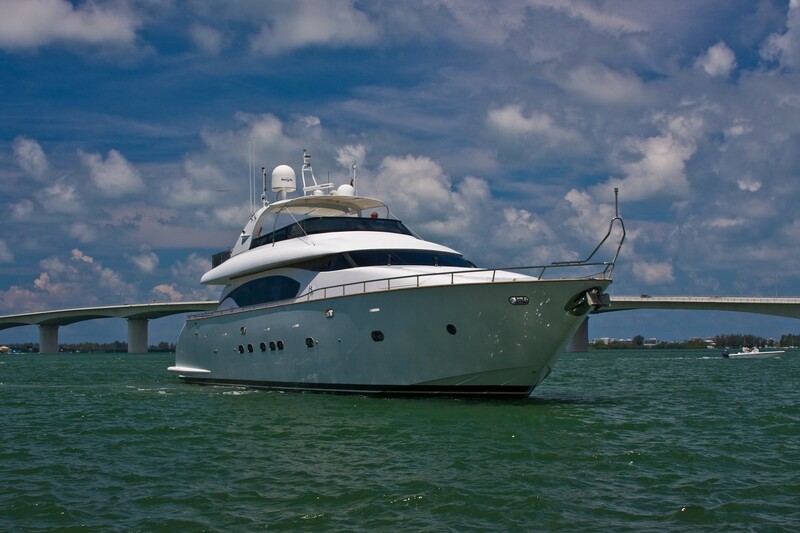 Her luxurious accommodation, entertainment facilities and sleek contemporary design make her perfect in every way for a private luxury charter for a honeymoon, a group of friends or a family wishing to spend some quality time together on board a magnificent yacht. 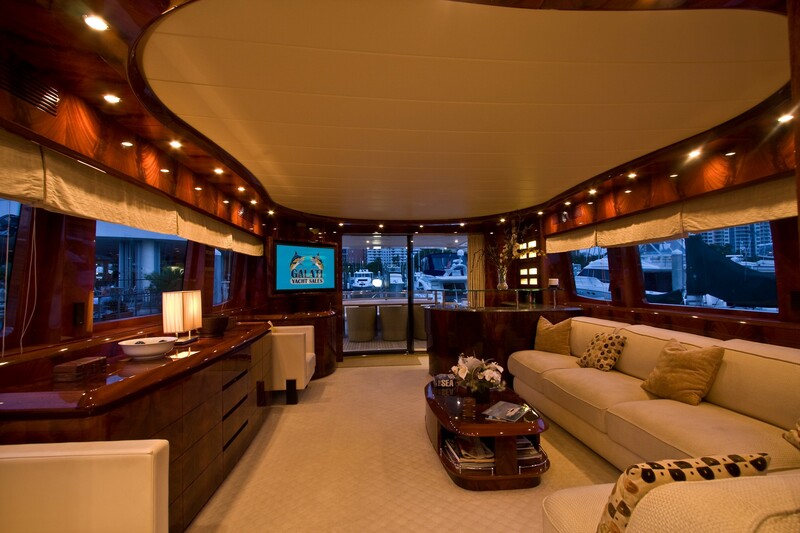 En’less accommodation is made up of four luxurious staterooms including a master cabin, a VIP cabins and two twin cabins, each with a Pullman berth. 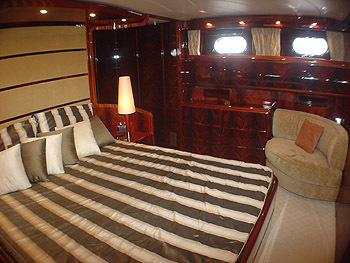 All staterooms have private en suite bathrooms and feature full audio visual entertainment systems in the cabins for guest entertainment. 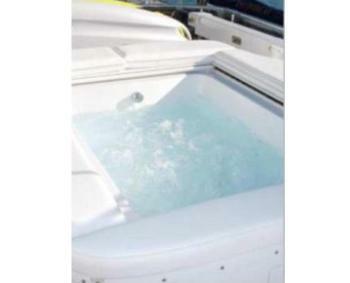 Zodiac 350 jet tender, Windsurfer, Canoe, Sailing boat, Fishing Tackle , Snorkeling Equipment, other facilities on board include 42" flat screen television with Satellite, DVD, VHS player and Bose Surround Sound ,Email and Internet connection, GSM and SAT Phone system, fax and printer.